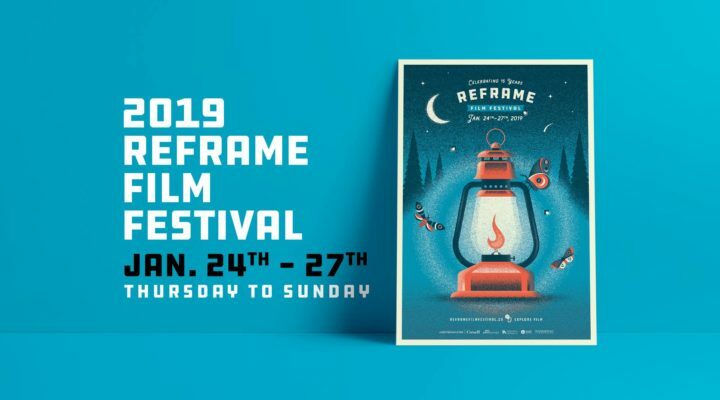 This weekend we’re proud to have our Indigenous filmmakers, Nadine Arpin, Jennifer Dysart and Lisa Jodoin host screenings, talkbacks and workshops in Thunder Bay (at Waverley Resource Library) and Sioux Lookout at Sioux Lookout Public Library. They have also designed an intimate workshop to explore personal archiving called ‘Memento: Archiving Memory’. In this workshop participants are asked to bring an object of significance to share with a small group. 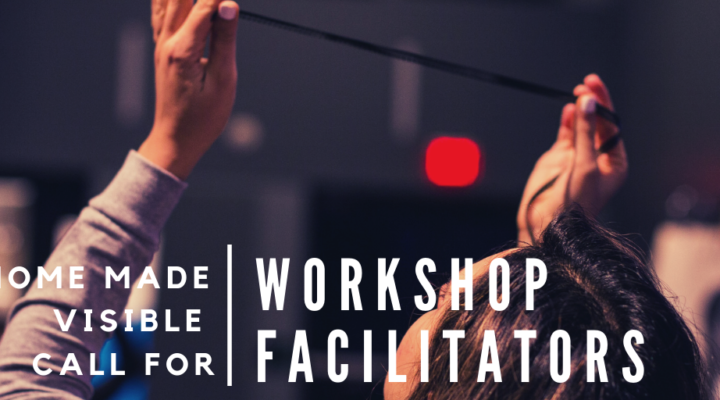 Through activities and exercises, the facilitators will guide workshop participants in expressing the memory and story attached to those objects to then produce a new personal archive: a digital audio/photo file, a mailable postcard or an attachable memory tag. Visit our Tour page for more on how to register for either event. Back by popular demand – we are hosting our second ‘What Is Home?’ Zine-Making workshop as part of our ongoing Home Made Visible tour. BIPOC communities are disproportionately underrepresented in all media. 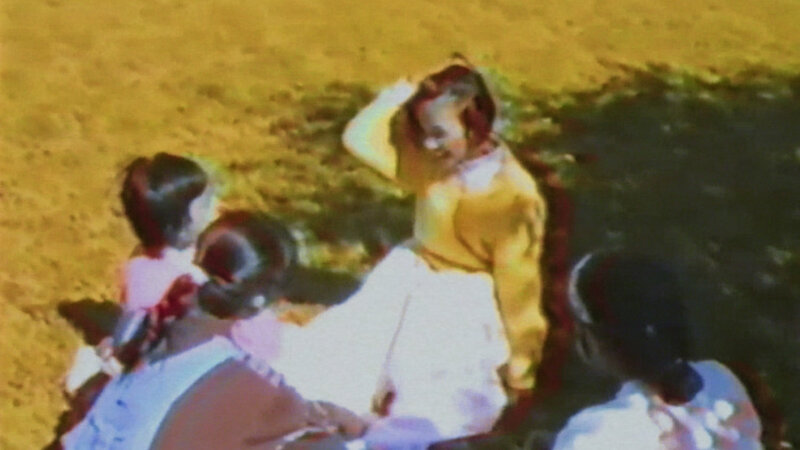 How do past images unearthed from personal and institutional archives come to shape new stories? What does this mean for our own familial and collective understanding of history? 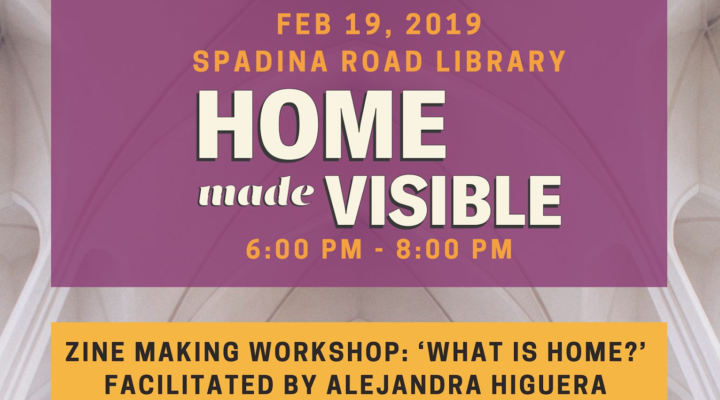 The Home Made Visible tour brings a personal lens to Indigenous and visible minority archives through FREE exhibitions, screenings, and workshops in libraries across Canada. This is a hands-on workshop and every participant will get the opportunity to pick up a copy of their zine. 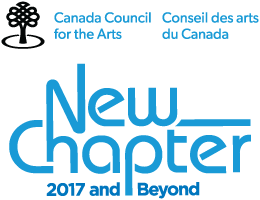 The Program consists of six short films and a mixed media installation by our commissioned artists. Learn more about the artists at homemadevisible.ca/artists. Visit the library during operating hours for your individual screening experience on designated computers. ASL English Interpretation available upon request. Please email homemade@regentparkfilmfestival.com, or 416 599 7733 before Tuesday, Feb 12th for accommodations. 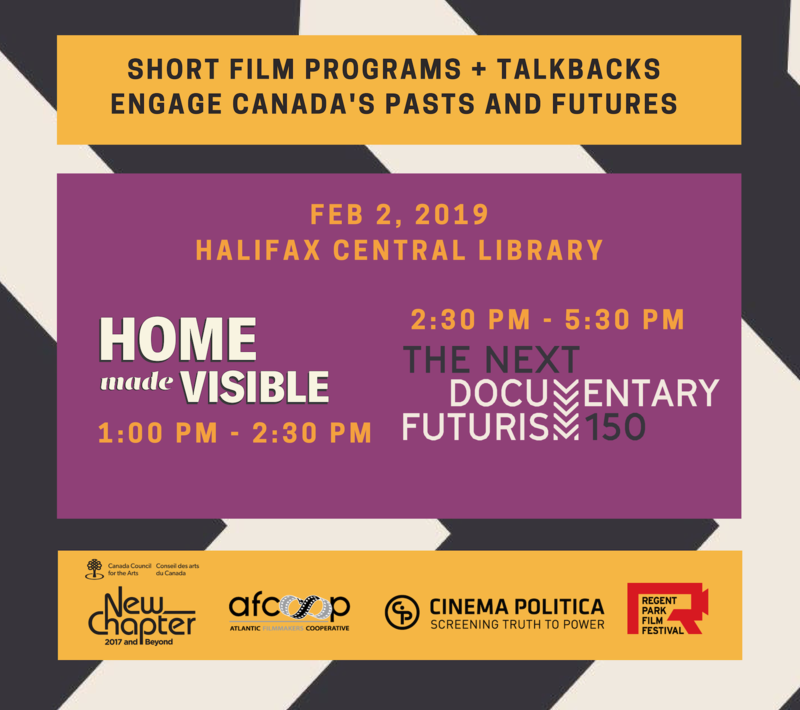 Cinema Politica’s The Next 150: Documentary Futurism project seeks to usher in a new kind of filmmaking that brings actuality into conversation with speculation, realism with fantasy. Taking inspiration from Afro-futurism, Indigenous futurism, speculative fiction and non-fiction, Cinema Politica has commissioned 15 short films to inaugurate this new genre. 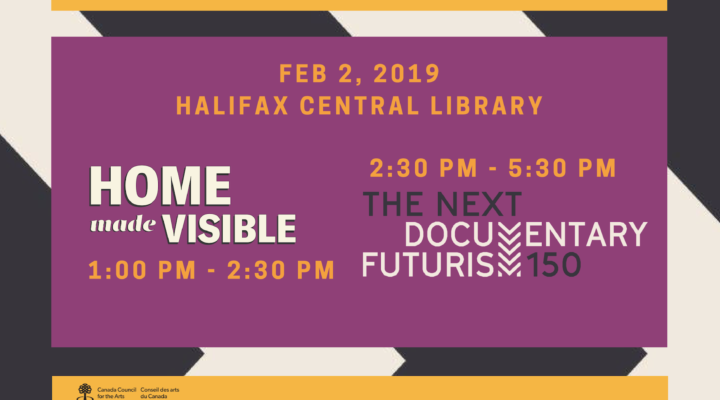 Works created under the rubric of documentary futurism will deploy filmmaking approaches and contexts associated with documentary in order to imagine, speculate and represent a “Canada” of the future. We are also prioritizing applicants local to the region of each workshop. 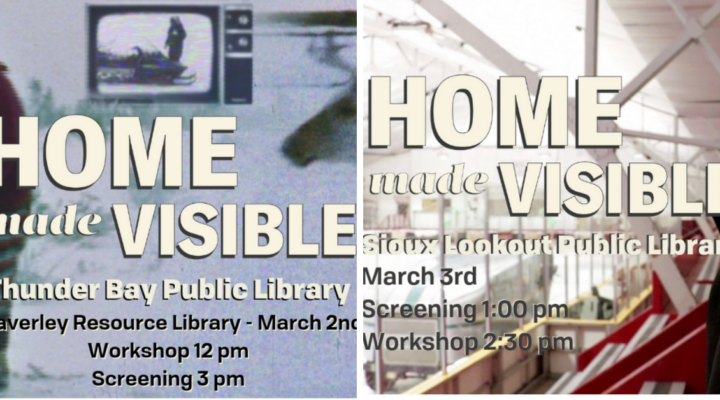 Home Made Visible is a nationwide archival project by The Regent Park Film Festival made in partnership with Charles Street Video and York University Libraries. Regent Park Film Festival is Toronto’s longest running free community film festival. In addition to the annual film festival and Under the Stars: Movies in the Park, we host year-round film screenings, school programs and workshops, all at no cost. Please tell us a bit about yourself as an artist and a facilitator. What is your artistic practice? And how do you engage people with your practice? What kind of workshop do you propose? How does it relate to Home Made Visible? Describe the nature of the exploration, how you might design it? Include some examples of some activities you might lead. What would you want participants to take away from the workshop, in terms of both ideas and creations? Identify which location(s) and demographics you would like to engage? Provide 2 references. Reference that can speak to the projects you have provided as samples are preferred. Please list any materials you would need. Please note they must fit within a $200 budget. FREE to participate. Sign up here today! Please submit your completed application online by End of Day Sunday, January 6th*. 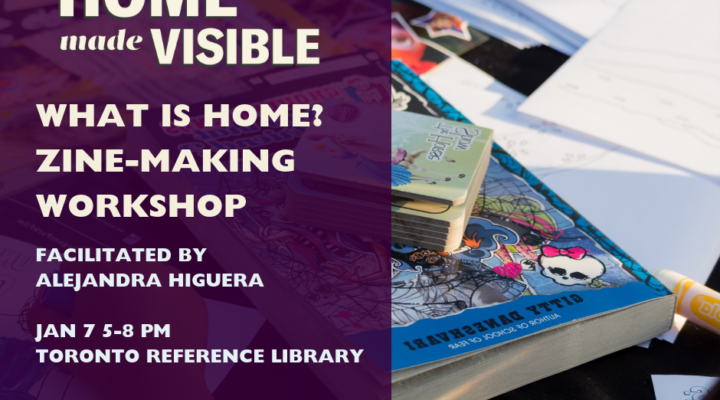 In this three hour workshop participants will explore the meaning of home through free writing exercises and games. Participants are asked to bring an object that, to them, represents home. We will then create a zine with scanned photos of the objects and also tell a story about what the object and how it connects to our meaning of home. The idea is to guide participants on not only telling their own stories but also making a piece, in this case a zine. The zine will be used at homes as a conversation started and also a way to tell stories. We highlight the importance of telling our own stories and making content outside the digital realm and creating our own archival material. *Depending on the workshop capacity, walk-ins may be welcome. Please check our facebook event page for updates.